The most important part in a surface propulsion system is of course the propeller. 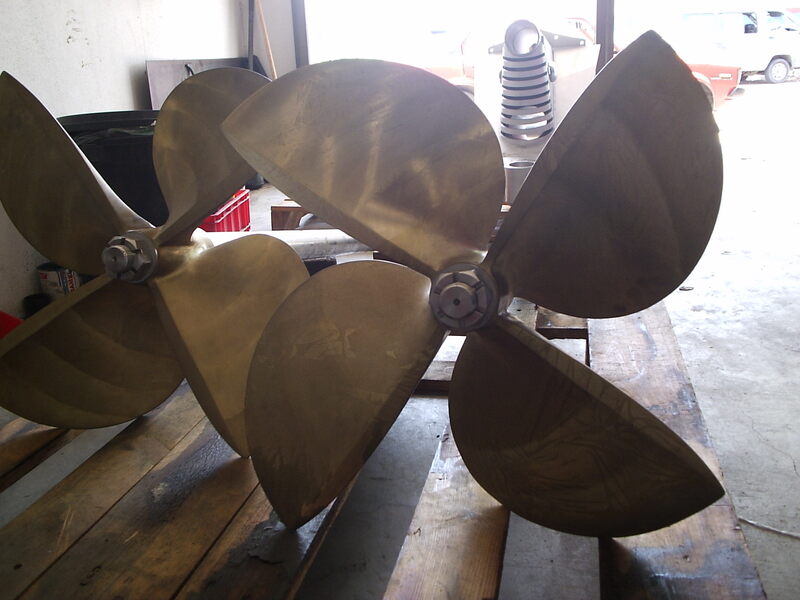 We develop, test and produce our own surface propellers. 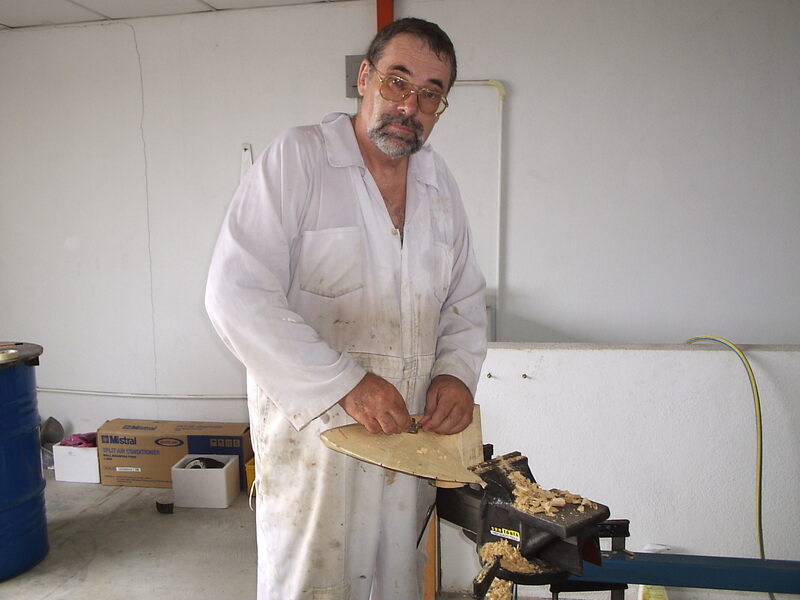 Up to a few years ago we produced our propeller molds out of wood and send them to the casting shop for casting. After this we machined the prop and finished it of by hand. 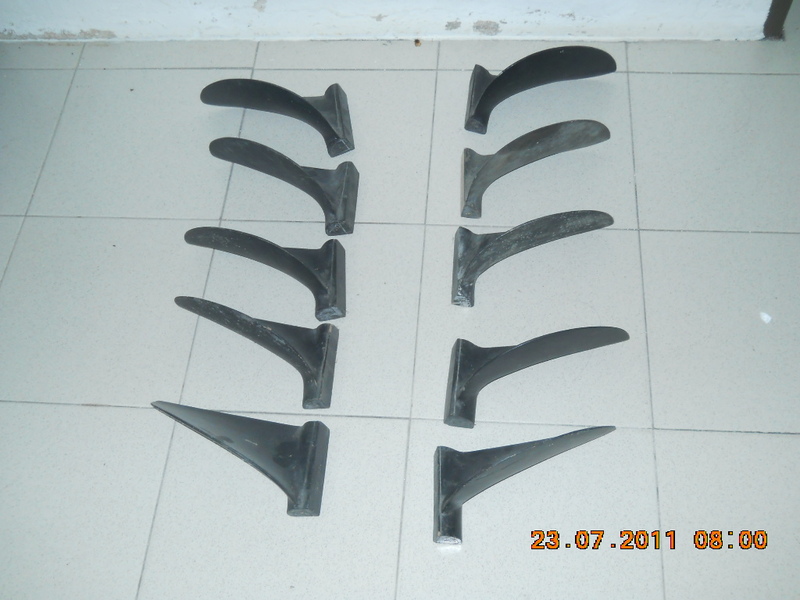 Here a serie of propeller molds Diamond Back with diameter 17 inch for the LD 170-150. The serie exist out of 5 RH and 5 LH propellers. We design our drives and propeller in 3 D SolidWorks and some special propeller generating software. 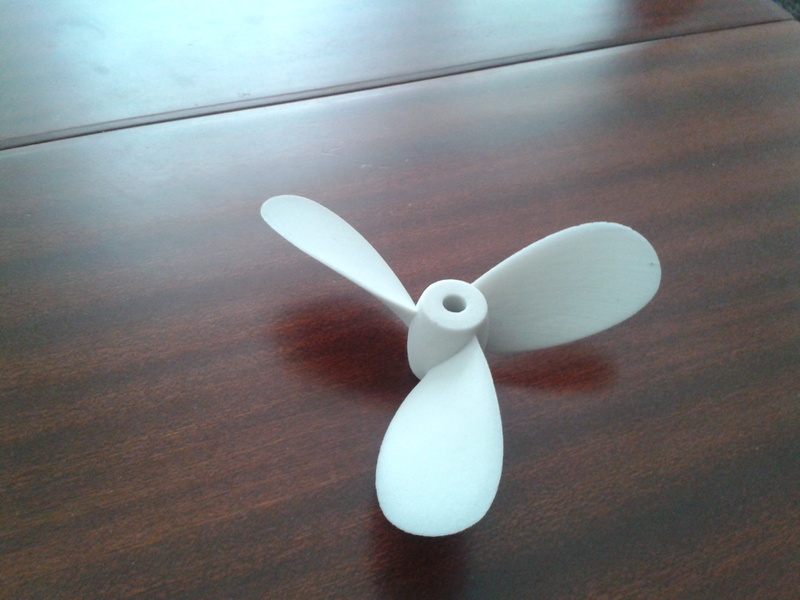 Now most of our smaller propellers are 3 D printed (rapid prototyping) and the resulting mold is send to the casting shop. The accuracy of such molds are much higher. In the range of 1/10 of a mm. Sometime we are asked to produce some different propellers. 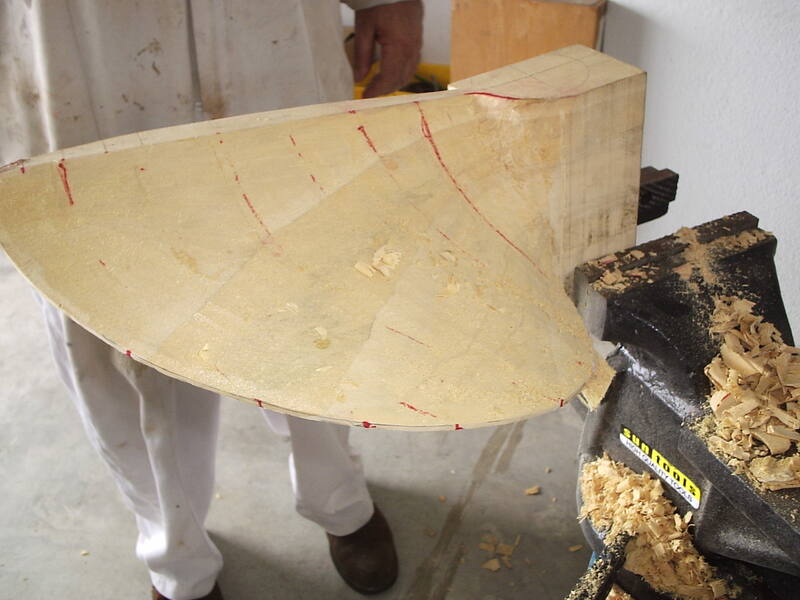 Shown is a 3 bladed wageningen 3 Serie propeller for a sailboat. 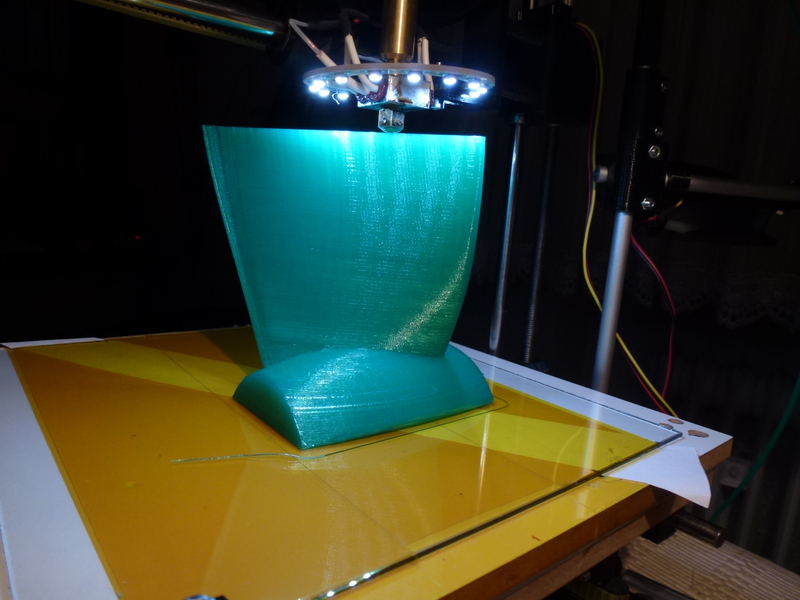 This propeller has a cup and is produced with a sinter printing system. Wie produce “Diamond Back” propeller for all our drives. Standard diameters are 17″, 20 “, 24″, 28″, 32″, 36 ” 40″ and 44″. Pitch P/D ration varies from 0.9 to 1.3 . There is a right hand and a left hand model available. Standard taper is 1:10 or 1:12. We do special sizes to order. 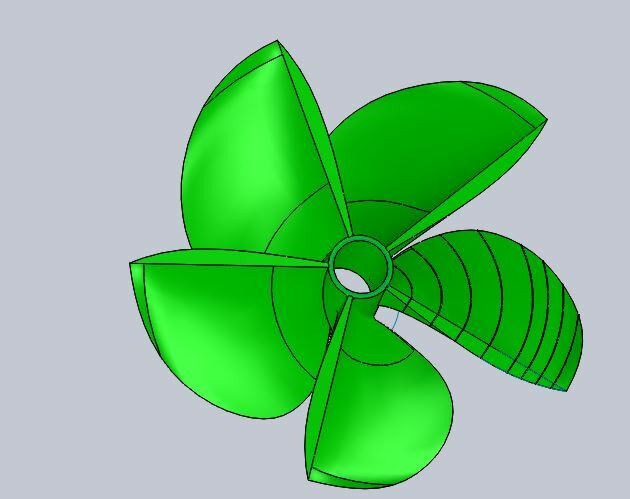 This might help to calculate the surface propeller for your project. If you like fill out the propeller questionnaire and resurn it to us.